Reach customers globally and increase profitability of your retail business with a concrete ecommerce website. We get you super-fast ecommerce sites that load in the wink of the eye across all devices. 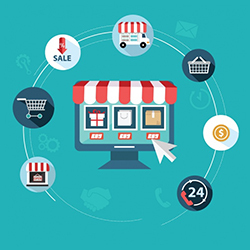 Our expert developers serve you with ecommerce website development services and produce appealing web pages that deliver convenient shopping experience from surfing through the products until check out. Subscription Based E-Commerce - The next level of ECommerce, When it comes to subscriptional ecommerce services where your customers make recurring payments, it’s a piece of cake as we also aid you with it. 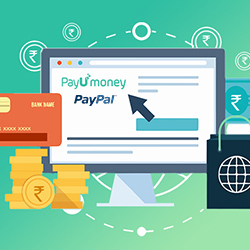 Payment Gateway integration, PCI compliant credit card payments including MasterCard, Visa, etc., Chat widgets, social media integration, ‘real’ customer reviews, FAQs and more are layered on your site. Not just fresh designing, at Muviereck, we also aid you with ecommerce maintenance and ecommerce redesigning services to constantly refurbish your e-presence.We also extend ease of constructing and maintaining your ecommerce site using Shopify, Big Commerce, etc. We develop ecommerce sites on various CMS like Magento, Woo Commerce, Open-cart, Prestashop, Zencart, etc. We are known for our Magento ecommerce development and Opencart ecommerce development services. Marching the extra mile, Muviereck delivers uber-attractive Virtumart ecommerce development and Zencart ecommerce development websites that guarantees to increase your conversion rate and strengthen your online portfolio. B2B bridges the gap between Manufacturing/Services providing companies with the Wholesalers/Retailers electronically with live Catalogue,Stock and it enables buying online. B2C is a form of selling goods/services from a Manufacturer/Wholesalers/Retailers to a Consumer directly. In this Decade, Internet dominated B2C channel form gives a tough competition to the conventional brick-and-mortar stores offline. This type of Social E-Commerce platform allows peer to peer selling electronically, Easy and Faster. These platforms makes money via Products Buy/Sell Promotion Ads, Private Ads, Google Ad sense. C2B is business model where consumers create a Product/Service that an company utilizes it to fulfil its business. This Ecommerce Model encompasses all the transactions in Online between companies and Public/Government bodies. This serves particularly in areas like fiscal, Social Security, Employment, Legal Documents etc., with the help of large investment in E-Government. C2A allows the interaction between the consumer and the local Government bodies such as E-Voting, E-Democracy, Info about public services and e-health. Using such services consumers can post concerns, request feedback /Info directly. 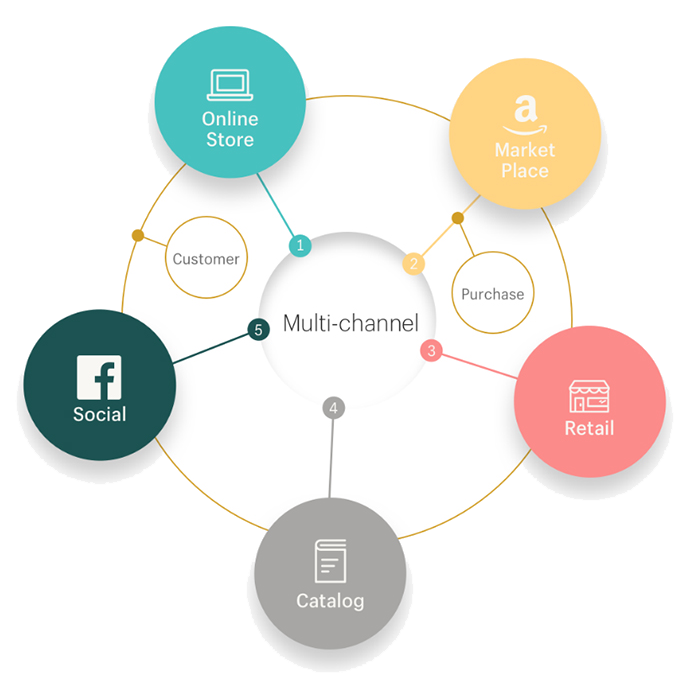 Multichannel refers to the ability to interact with potential customers on various platforms. Multi-channel marketing and sales enable customers to not only interact with your products through whatever medium is most natural to them but to purchase through that medium directly. A medium might be a print ad, a retail location, a website, a promotional event, a product’s package, or word-of-mouth. 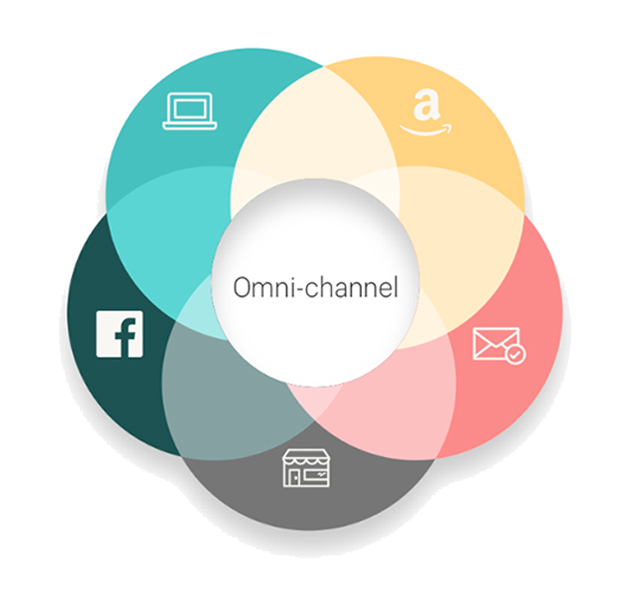 Omnichannel refers to the multichannel sales approach that provides the customer with an integrated shopping experience. The customer can be shopping online from a desktop or mobile device, via phone, or in a brick-and-mortar store, and the experience will be seamless. It’s about allowing consumers to purchase wherever they are while communicating in a way that is in tune with why they use a given channel and showing awareness of their individual stage in the customer lifecycle.